Student in the electricity training course, Alexandria, Egypt. In 2017, four years after the launch of the Seeds of Hope Program in Egypt, the IECD committed to favoring the socio-professional integration of more than 1,000 young Egyptians by modernizing the training offering in electricity professions at a vocational baccalaureate level. 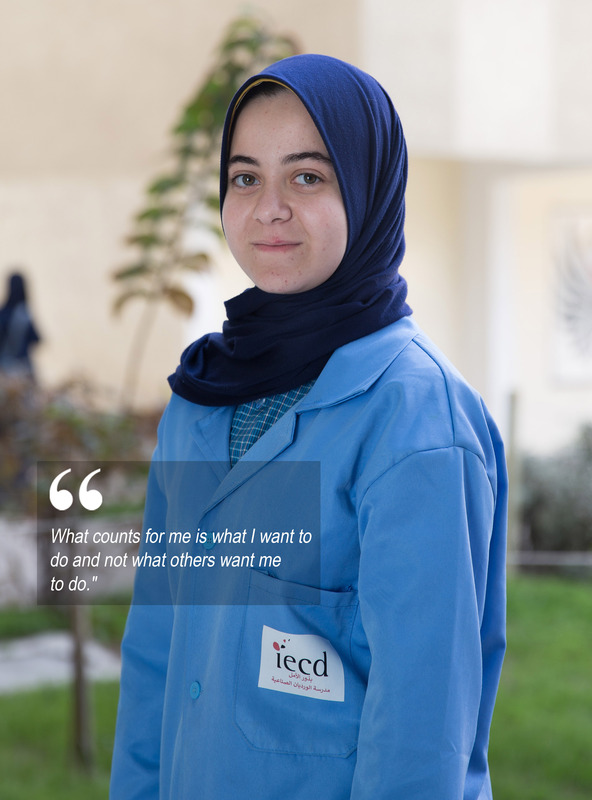 Sara is a first year student at the El Wardian Technical High School for young girls in Alexandria (Egypt). “Originally, I thought about going into the electronics sector, a sector more popular with young girls. But, finally, my good grades led me to follow a course in electricity. My professors believed I could do better. At the beginning, I found it difficult to take an interest in it: I wanted to stop everything but my teachers helped me to persevere and they ended up conveying their passion for the subject to me. Seven months have already passed and I now know how to wire light bulbs and repair sockets. I am very proud! The thing I really enjoy about our training is the practical exercises. They always give me new ideas for projects to try in class. For example, at the moment, I am working on a project in the field of solar energy and it’s truly fascinating!